For Christmas I gave my aunt and long list of wishlist things and she decided to surprise me with a gift certificate for some specific things on that list. 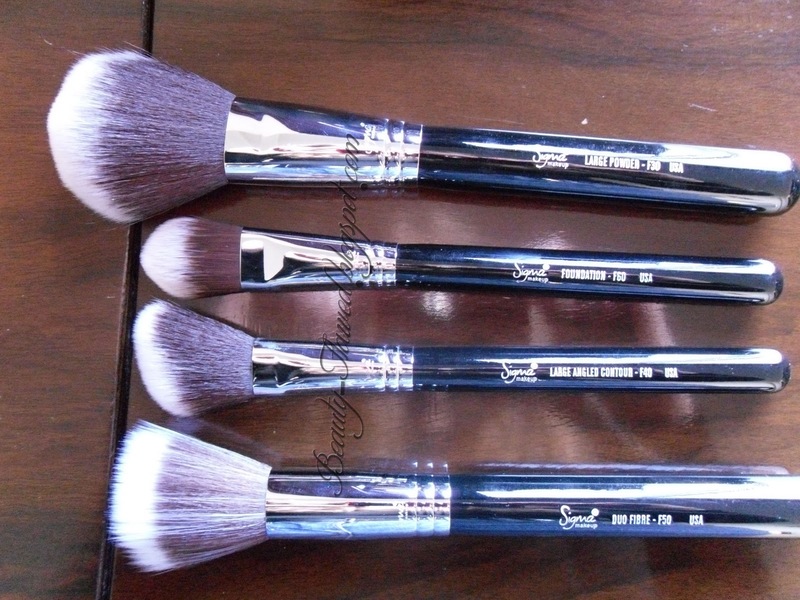 SIGMA BRUSHES! I've been dying to get my hands on brushes from them for some time now, so I was super excited to get these. If your not familiar with Sigma they are considered to be a higher end and professional brush company that offers great quality products and MAC dupes for fair prices. I myself have never used any MAC brushes (mainly because they are way too expensive for me) so I couldn't tell you how they hold up in comparison to them. I choose to get the Mr. Bunny Essential Brush Kit which retails for $109.00 and includes 12 brushes in the following styles: Eye Liner - E05, Pencil - E30, Tapered, Blending - E40 , Eye Shading - E55 , Large Shader - E60, Small Angle - E65 ,Medium Angled Shading - E70, Large Powder - F30, Large Angled Contour - F40, Duo Fibre - F50, Foundation - F60, Concealer - F70. If you break it down you end up paying about $9 dollars per brush, which I think is a great deal especially for someone like me who will only be using them for personal use. This also comes with a case that can double as two cups for storage and a pamphlet describing all the brushes and their uses. I like to keep mine in one side of the cup and clip it shut so I can store it with all my other makeup goodies. You can also get this kit in the Mrs. Bunny version which features light blue handles and pink ferrules or travel sized. All the packaging for this was super cute as well upon opening it I was really surprised by the level of detail they put into their packaging, they get an A++ for that alone. These are my first set of professional makeup brushes and the difference between these and my other brushes is astonishing. The brushes themselves are super soft, softer than my bare essentials brushes or my Kat Von D eye brushes. On the skin they are very smooth and soft to the touch. It's really hard to describe how they feel, I think the best comparison I could give you would be to a cashmere sweater. 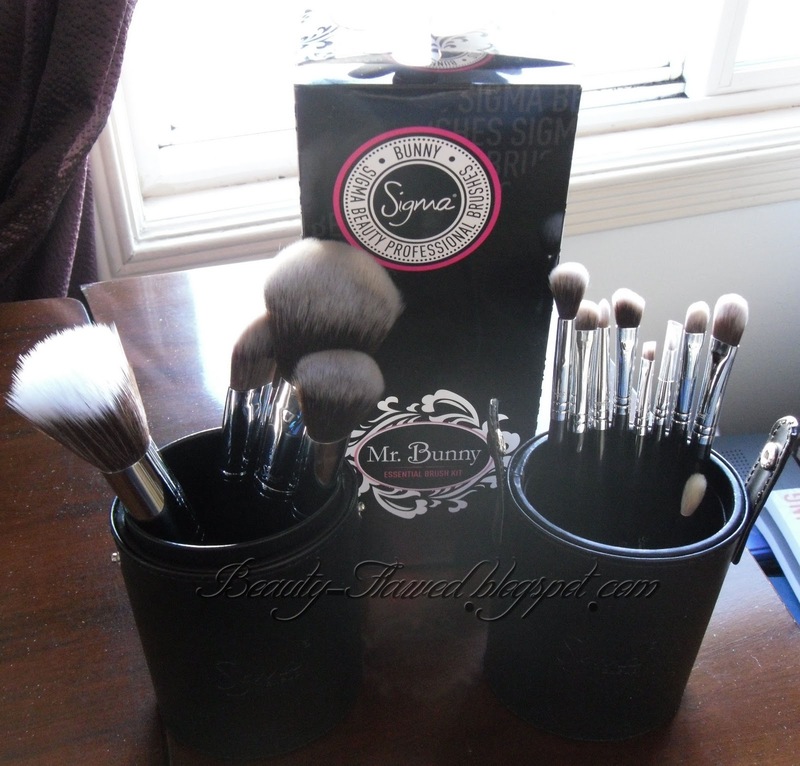 The Mr. Bunny Brush Kit uses synthetic fibers from the Sigma HD Sigmax line, these are designed to help prevent product absorption into the bristles. This kit is also considered Vegan because it uses these synthetic fibers and would be great for not only vegans but anyone who has an allergy to animal hair. 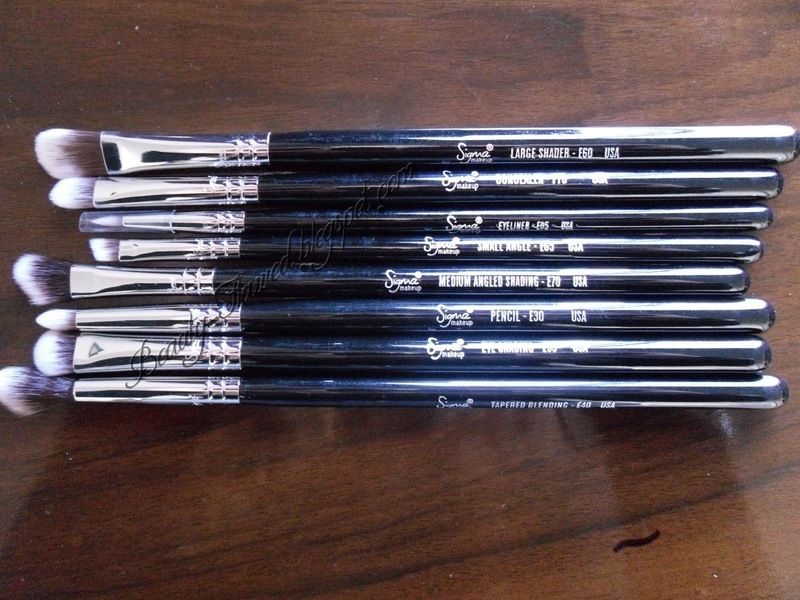 The ferrules are very secure on the handles and I feel the brushes overall are very well made. So far I've used a few of the eye brushes and the large powder brush and they pick up and apply makeup very well. 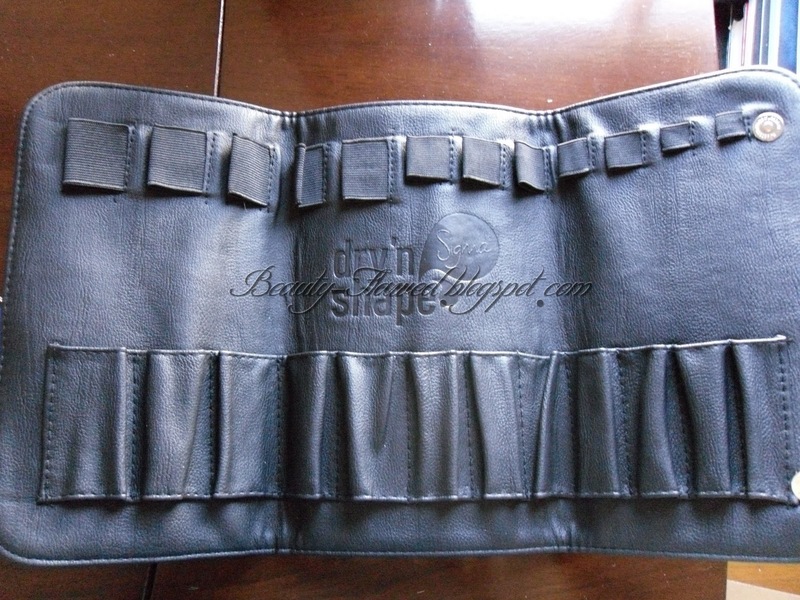 They are a lot bigger than I am used to using so that will take some time to adjust to but it doesn't really bother me, I find that since its bigger it kind of makes it easier to apply because I don't have to keep going back over areas. I'm going to wait to try out the foundation brushes until my MUFE HD Foundation arrives which should be in a few days. Washing these was also really easy they did not bleed and so far I haven't had any shedding from them. 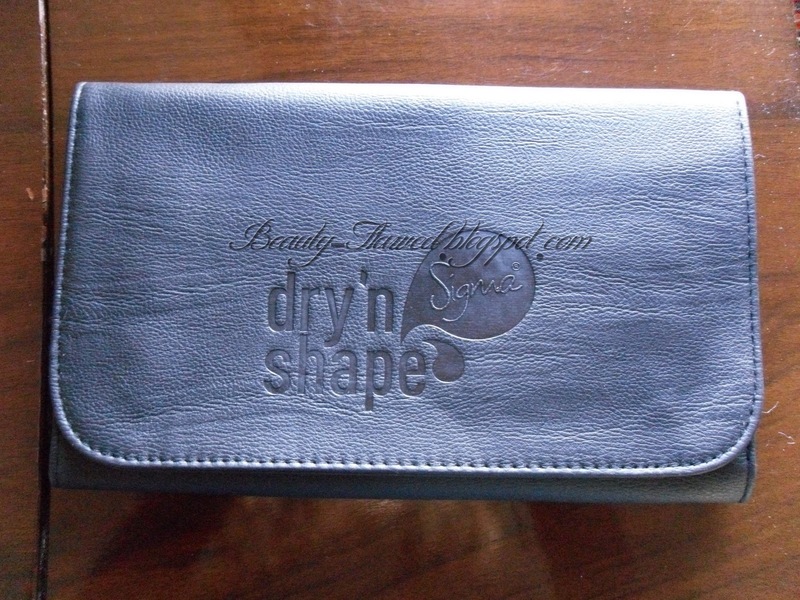 Next up we have the Dry and Shape System and I've been wanting this since I first heard about it because I've found that drying my brushes and getting them to keep their shape is a pain. I picked this up for $29.00 and I couldn't be happier with it. There are some flaws with it but the overall idea is brilliant. What you do is place your brush through the top band after washing until the bristles are scrunched up in it and it holds it tight so when it drys it keeps its shape. The one thing I didn't like about this was that there are not enough slots for smaller brushes. As you can see in the picture I had to resort to the tried but true method of wrapping them in paper towel to dry. 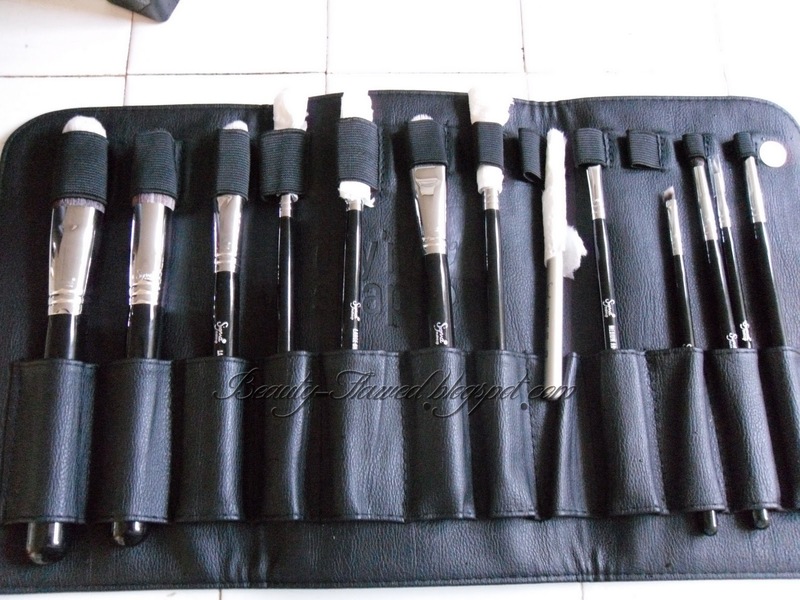 Obviously the super tee tiny brushes don't need to fit in there but I would have liked all my eye brushes to fit nicely and well they didn't. If they made smaller slots I feel like this would be perfect. Now your brushes are supposed to be dry in 4-6 hours when using this but I didn't time it so not sure if that is accurate. 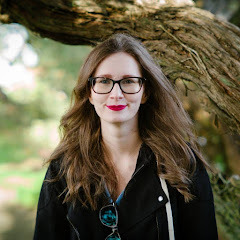 I just let them sit overnight like I normally do and took them out in the morning and they were in the same perfect shape they were in before with no loose hairs floating about. I'm really happy with the product and I would buy another for sure especially if they adjusted the sizes of some of the slots. It makes washing and drying so much easier because I don't have to wrap each brush in paper towel or use the brush guards they came with and wait forever for them to dry. I'm really satisfied with the quality and prices on all these products and I will definitely be purchasing from them in the future. 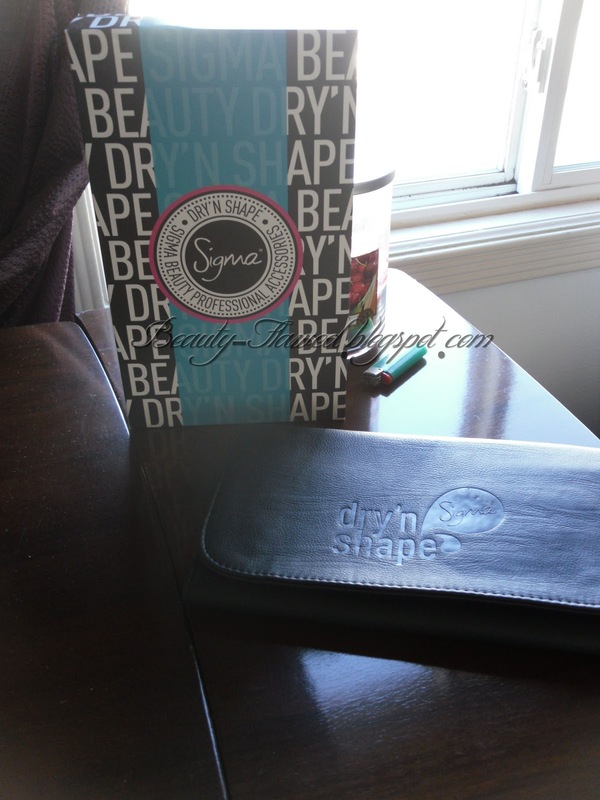 If you want to check out what they have you can visit their website SigmaBeauty.com. Sorry this post was so so long but I wanted to give you guys the best review I could on these because they are awesome! You lucky girl!! and what an aunt you have. She is awesome!! lucky ducky! Those are some amazing brushes! they are definitely on my WANT list!